Balouza, M. (2019). The Impact of Information and Communication Technologies on the Human Development in the Gulf Cooperation Council Countries: An Empirical Study. Management Studies and Economic Systems, 4(2), 79-113. Mohamed Balouza. "The Impact of Information and Communication Technologies on the Human Development in the Gulf Cooperation Council Countries: An Empirical Study". 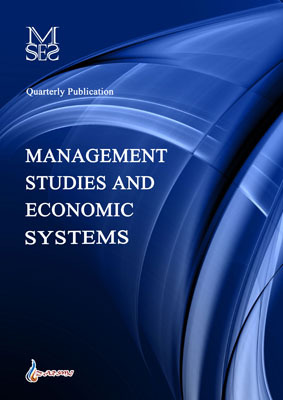 Management Studies and Economic Systems, 4, 2, 2019, 79-113. Balouza, M. (2019). 'The Impact of Information and Communication Technologies on the Human Development in the Gulf Cooperation Council Countries: An Empirical Study', Management Studies and Economic Systems, 4(2), pp. 79-113. Balouza, M. The Impact of Information and Communication Technologies on the Human Development in the Gulf Cooperation Council Countries: An Empirical Study. Management Studies and Economic Systems, 2019; 4(2): 79-113. The main goal of this study is to investigate the impact of information and communication technology (ICT) on human development in the six Gulf Cooperation Council countries (GCC), particularly, the effect of ICT development index on the three-key component of human development; income, health, and education. The study focused on the years 2005-2014. Based on the theoretical background explained in the literature, the main study’s hypothesis tested using the Panel regression analysis to account for the existence of both cross sectional and time series relationship. The finding of the study shows different results ranging between positive, negative and insignificant relationship, which reflect the complexity that could associated with ICT implementation in the context of development. GCC countries spent a vast amount of financial resources to develop their ICT infrastructure, however, they failed to achieve the effective utilization of these technologies in socioeconomic development, due to mismatch between the ICT infrastructure and the availability of skilled human capital, adequate educational system, and public awareness about the importance of the ICT role in socioeconomic development. Therefore, ICTs as tool alone cannot improve human development; unless it occurs within broader context and multidimensional strategy aim to enhance the people's abilities to make the most use of these tools and techniques. Finally, the study recommends for the GCC policy makers to shift their paradigm of thinking about ICTs by changing their focus from the deployment of the ICT infrastructure to focus on analyzing and understanding the dynamic complementarities that could shape the potential role of these technologies.